I’ve wanted to love the Nintendo Switch from the moment I first laid my eyes on it. The pricing and lack of appealing launch software has done a lot to turn me away, but the hardware’s design keeps pulling me back in, like a tractor beam honing in on my personal gaming insecurities. My time playing a host of Switch games yesterday reminded me of how distant I’ve been from Nintendo: I came to remember how comforting games like Mario Kart, Zelda, and even Bomberman can be. 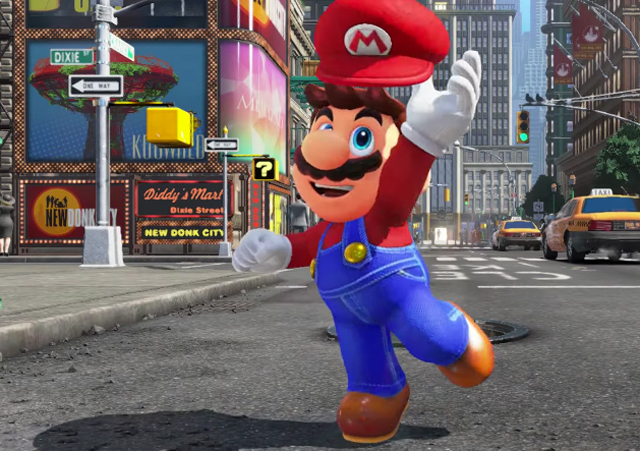 Problems persist, however, in the message, something Nintendo has struggled with since it first revealed the Wii U.
There’s also an inconsistent gaming experience across the different Joy-Con controller configurations, and two months before release, the Switch is already battling perceptions of confusion. After spending a few hours with Nintendo’s new beast, I’ve come to the conclusion that the Switch is a handheld masquerading as a console. 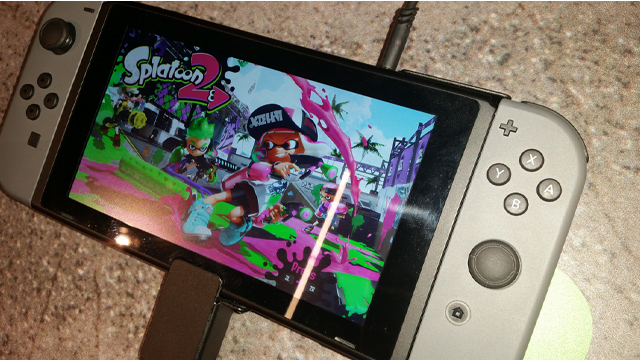 That’s not a bad thing: the Switch is entirely competent as a docked device upscaling to 1080p on your TV from a functional level, but every game I played on the system looked infinitely better in portable mode. Whether that’s a disappointment or a selling point I’m unsure, but it is what it is. Regardless, this is more than just an “upgrade” over Nintendo’s DS and 3DS line. If you can look at the Switch purely as a handheld device with TV playback out of the box, it’s undoubtedly the best gaming handheld ever made. A 6.2″ screen outputting in 720p makes the Wii U phablet look like a Fisher Price tablet for toddlers. Some games admittedly look better than others — Mario Kart 8 Deluxe Edition and Fast Racing RMX were the standouts for me, while Splatoon 2 I felt had that same streamed, compressed look that some Wii U games have. Not anywhere near as bad, of course, but I certainly felt as though there was a rather significant gap between the best and worst performances on the portable screen. When a game like Mario Kart 8 is blissfully running at 60fps, it’s easy to overlook the Switch’s overpriced launch cost. Break up the console into tabletop mode, and it’s the first truly multi-player single-screen handheld experience ever. I trust that the sight of seeing people playing the latest console Mario Kart on a single portable screen will persuade many a person to pre-order for a day one purchase. The Switch’s design will also do a lot in that regard: it’s a sleek and cool design that ditches Nintendo products’ Apple-white toyish plastic aesthetic, which the company has been obsessed with since the Wii days. If the Wii U looked like a cheap Android tablet, the Switch at least looks the role of something that costs $470. The Switch is undoubtedly the best handheld Nintendo has ever made. The size of the thing could arguably be a deterrence, but it’s not like people leave their tablets at home because they’re too large. The ability to remove the Joy-Con controllers improves Switch’s portability, making it easier to store away. The biggest smartphones and tablets are probably slightly more durable, but there’s no doubting that the Switch has been designed to be taken on the go. The docking capabilities for TV playback just seem like an additional feature, rather than a primary function. And therein lies my biggest disappointment: the Switch underwhelms as a console. Unless you’re actively looking for something that celebrates its portability and actively wants you to embrace it, the Switch probably isn’t for you, at least at launch. This is where I feel a lot of the confusion lies: the Switch is perhaps the finest handheld ever made, but at the same time it continues Nintendo’s long-held tradition of releasing underpowered, under-supported home console hardware, and at a premium price. When I first sat down to play Breath Of The Wild on the Grip controller, I never got the sense that I was playing a new console. There was nothing about how the game looked or how the Grip felt in my hands that screamed, “new hardware!” Within five minutes of my 20-minute playthrough, I’d broken the Grip down, undocked the Switch, and started playing the latest Zelda in portable mode. Not only did the game look better, it didn’t look like it was being pushed to look better than it does, which is exactly what the Switch does when docked. 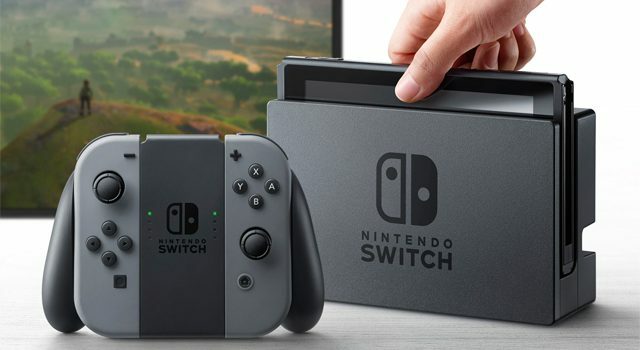 There’s a reason for that: the Switch is a grossly underpowered gaming console, with Nvidia Tegra chips based off of the X1 architecture, which Nvidia has only ever intended for portable, mobile gaming. If ever you need to proof that the Switch is a handheld first and foremost, that was it. Mario Kart 8 looks as good as it did on the Wii U, but that’s part of the problem: nothing shown yet looks that much better than the equivalent on Wii U. This has been a Nintendo staple for a decade — favour innovative controllers and other features at the expense of horsepower — but I’m not sure for how much longer Nintendo can continue this trend. I’ve struggled with Nintendo controllers dating back to the Wii. They just haven’t been for me. I’m not afraid to admit that I hated the Wii, and have been craving a return to traditional control methods from Nintendo for a decade now. The Switch I feel is a compromise, and gamers looking for something a little more refined, precise and sleek will appreciate the Joy-Cons in certain configurations. 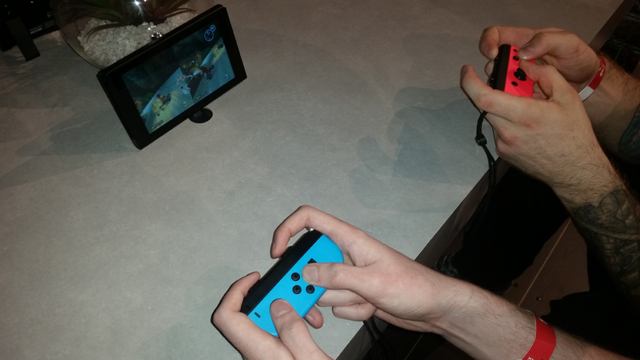 Having them attached to the tablet or connected to the sturdy Grip controller make for the two best configurations, unsurprisingly seeing as though they compliment the Switch’s two primary functions: undocked as a portable in-hand, and docked for use on a TV. Beyond those configurations, however, and the Switch experience descends back into frustrating attempts at innovation. When used as motion controllers, the Joy-Cons are essentially smaller Wiimotes. They are more precise, but I just don’t care for them in this configuration. 1 2 Switch, a shockingly overpriced compilation of mini-games, attempts to highlight the improved responsiveness of the new controller, but I struggled with a number of things: the small size of the Joy-Cons, the awkward button mapping, and the fact that a cow milking simulator was going to set me back $70. As much as I hated the Wiimote, it at least felt like something in my hands, whereas the Joy-Cons are more ambitious in their attempt to pack as much as possible onto a (much) small controller. I did notice some obvious improvement in reaction time and tracking in these mini-games, and a title like Arms, while irritatingly gimmicky, is a nice way of showcasing what the Joy-Cons are capable of. I can’t help but think that it’s all futile, however, because this is not the most appealing aspect of the Switch and its controllers. Nintendo wants the best of both worlds, and for the second time in a row is attempting to recreate the market craze that it had with the Wii. That’s just not going to happen. You can rave on and on about “HD rumble” feedback all you want, but the people you want to make care about Switch’s motion controls are not going to care about the specifics of rumble feedback. And it doesn’t help that this haptic feedback feature garnered nothing more than a “I guess it’s cool” from everyone I spoke about it to. Switching over to the console/handheld/handsole’s tabletop mode, and you end up with the worst controller configuration of them all. The Joy-Cons are impressive little controllers, don’t get me wrong, but using one of them horizontally in both hands is tough going. These are small controllers when used in one hand, so using both hands to control a single Joy-Con makes for some almighty cramping. The shoulder buttons are awkwardly placed, forcing me to stretch my hand around to reach them. One Joy-Con — the left one when connected to the tablet — is a little more refined, with an analog close to the edge for easy access. The opposite Joy-Con, however, has its analog centralised, meaning your thumb is constantly stretched to reach it. At first it felt weird, then I got used to it, but after 20 minutes I needed a rest. I guess I can appreciate Nintendo’s ambition here, and we shouldn’t expect any less from the company. But I won’t be rushing to use this configuration. The standout for me is the portability of the handheld, the Grip controller and the Pro controller, all of which appeal to me as the traditional (and best) way to control a game. Using a single Joy-Con feels like a forced way to play just for the sake of making some else feel included. If I want to play with friends in table-top mode, I’ll just fork over for additional Pro controllers. And wouldn’t Nintendo just love that! From what I saw at the event, nothing blew me away. At least not enough to justify a day-one purchase. I’ve never been a big Zelda guy, although I appreciate the appeal and always find myself playing it. Unfortunately, this weekend only permitted a 20-minute demo, in which I did little more than explore and engage in a handful of small battles. Most of the time I found myself just trying to familiarise myself with the hardware, and comparing how the game looked both docked on a TV, and in portable mode. That said, there’s no doubting how good Breath Of The Wild will be, although I can’t say that it alone is worth forking out $470 for a console for, especially if you own a Wii U. The launch lineup is depressing beyond Zelda, although the likes of Mario Kart 8 Deluxe Edition, Splatoon 2, and Mario Odyssey throughout the year certainly strengthen the console’s credentials. I personally had the most fun playing Super Bomberman R. I still found my hands cramped after playing through a handful of matches using a single Joy-Con, but it’s amazing how much joy a single classic can bring on new hardware. That said, I think it’s quite telling that the big standout for me is Bomberman. It’s a great game and franchise, don’t get me wrong, because I truly do love it. But I think it says a lot about the Switch’s launch lineup. As I’ve already mentioned, the Switch is a fantastic handheld. 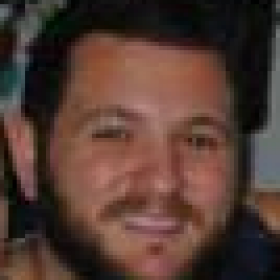 When you factor the software potential with the likes of Super Mario Odyssey and Skyrim (even if it is a downgraded version of the Special Edition), you’re basically walking around with a portable Wii U or even a portable Xbox 360 that can be played anywhere without an internet connection. I still have my doubts about the software and price, but the Switch’s primary functionality is rather impressive. Once it breaks down into another motion control console, however, I feel it loses its appeal. Games shine on the tablet but lose a bit of spark on TV, reminding us of just how much Nintendo doesn’t care about horsepower. I think Nintendo is really stretching in marketing the Switch as a “party” device, and this is ultimately where I feel the message is inconsistent. 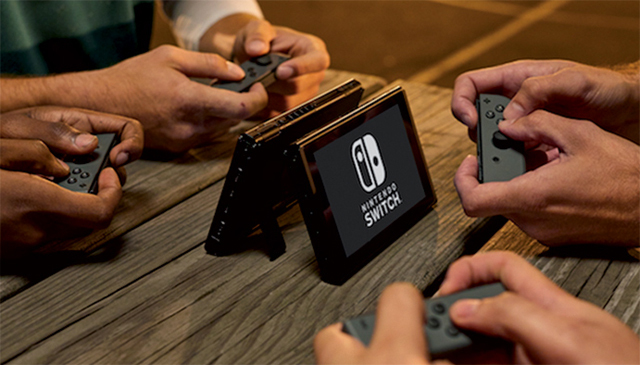 The Switch is a handheld with some console functionality, which would justify pushing it as a console open to table-top and cooperative play. But it shines as a gaming handheld, and attempting to paint it as anything more potentially alienates those looking for a simple gaming device. After a few hours playing Switch, I find myself still wanting to love it. I might yet fall head over heals, and it’s got some truly amazing traits, but it needs more software to compliment its best configurations before I can truly commit.